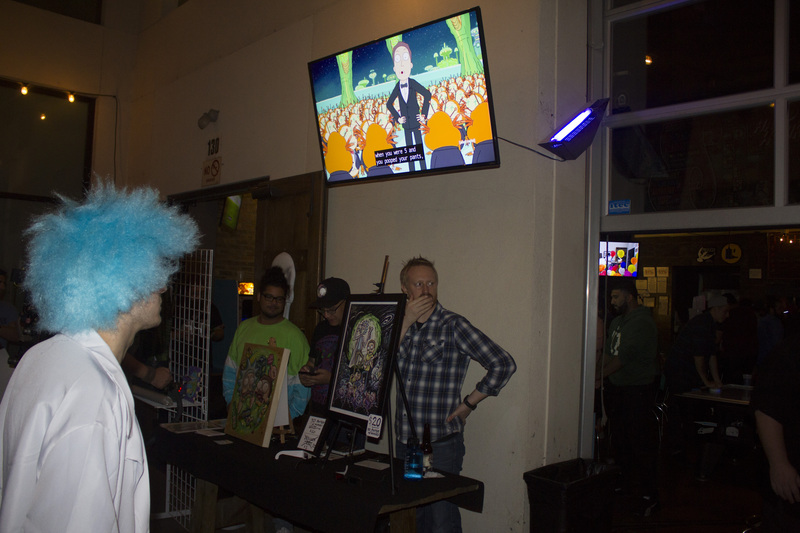 On Sunday Night in Fort Worth, Rick & Morty Fans Took Their Love Of The Animated Comedy To Another Dimension. 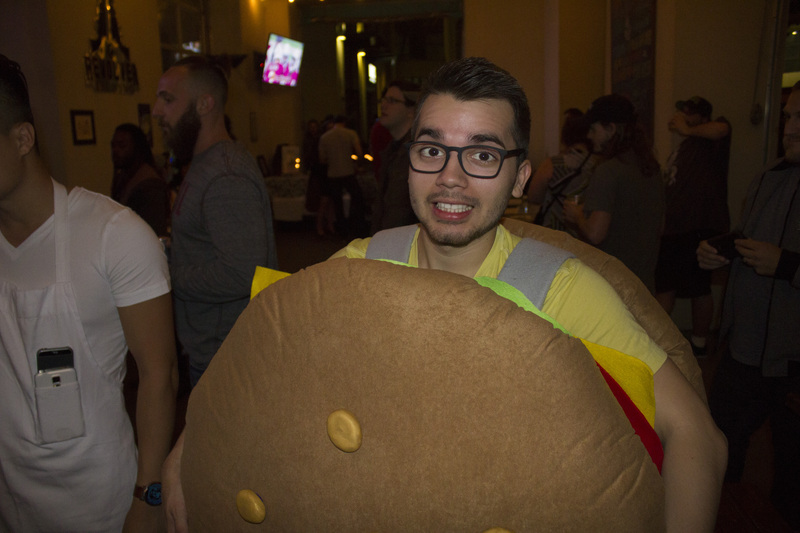 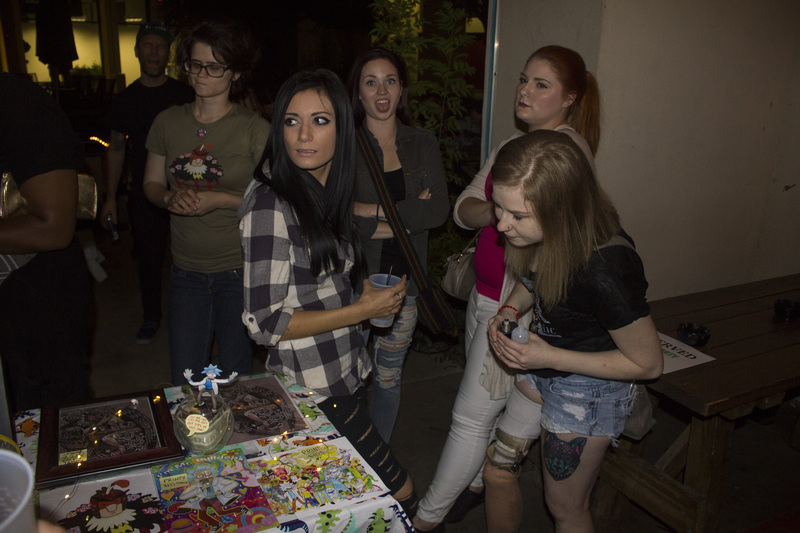 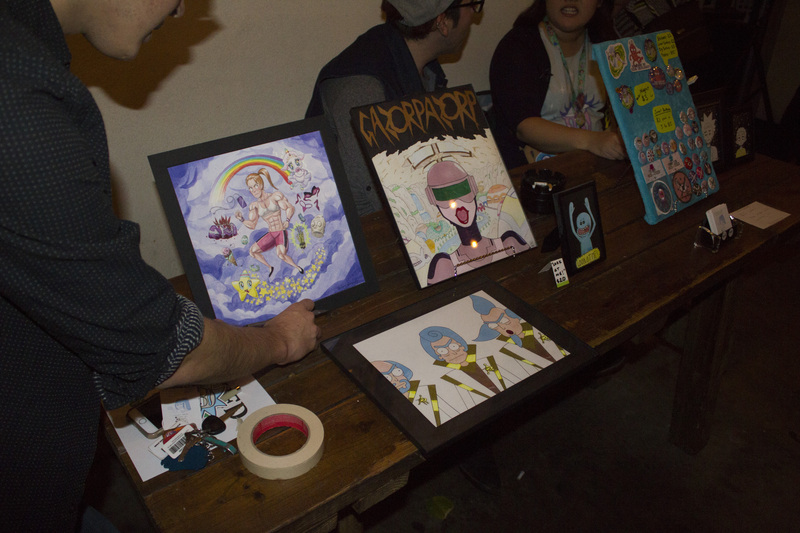 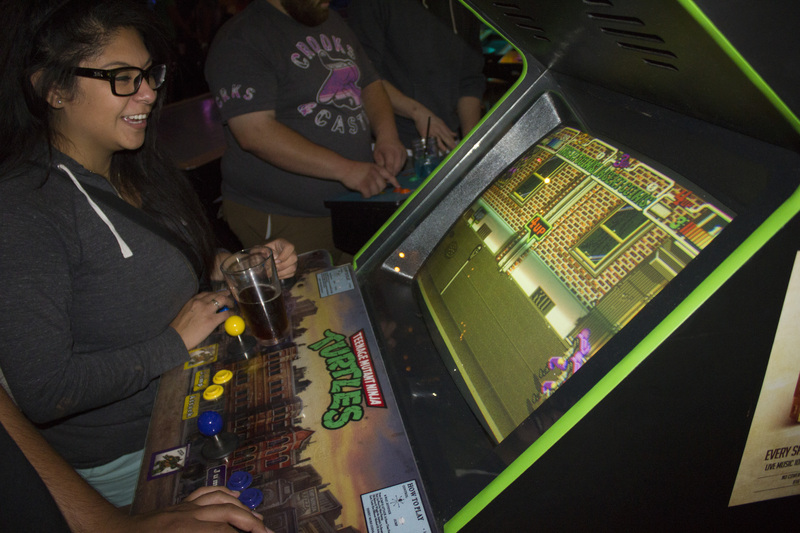 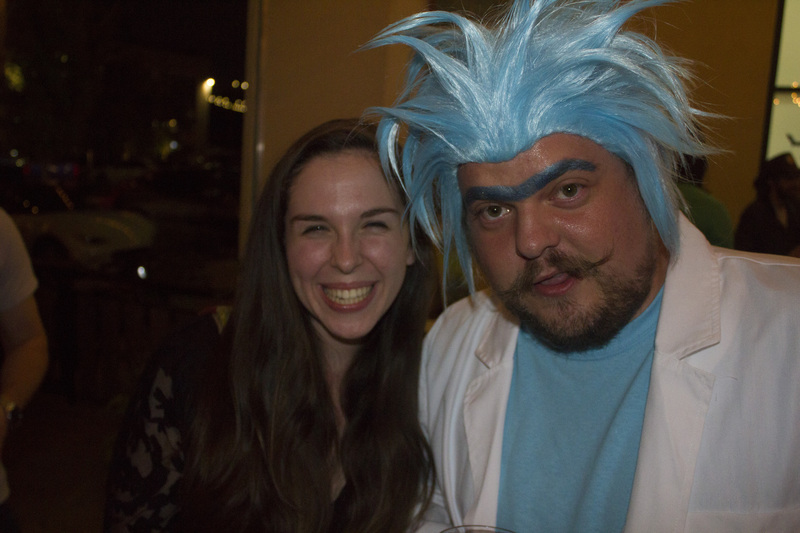 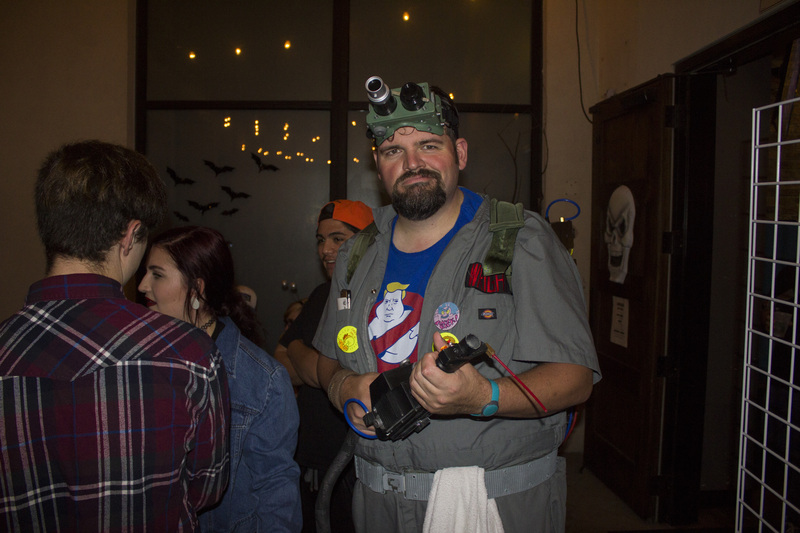 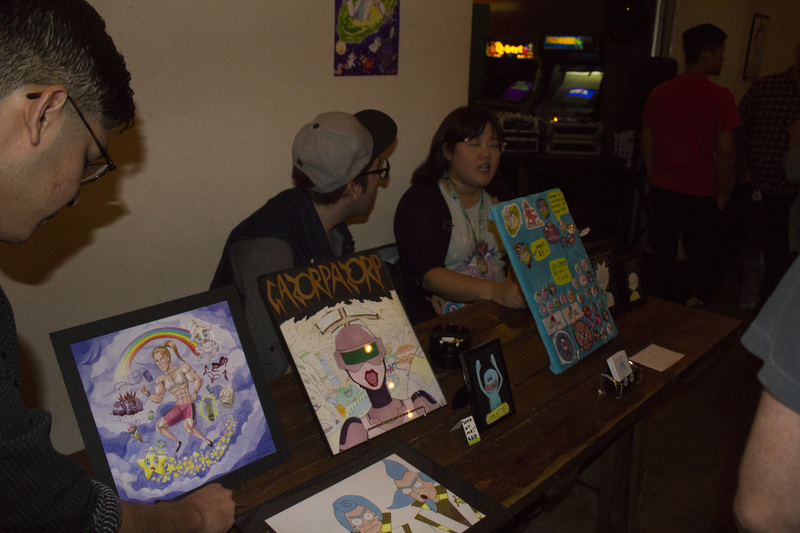 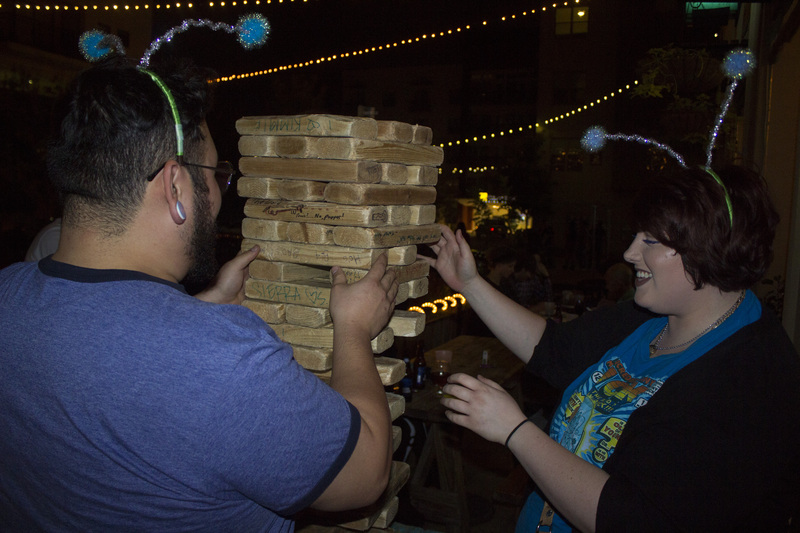 Fans of the Adult Swim TV series Rick & Morty gathered at Barcadia in Fort Worth on Sunday evening for a night of art, music and, well, getting riggity, riggity wrecked, son! 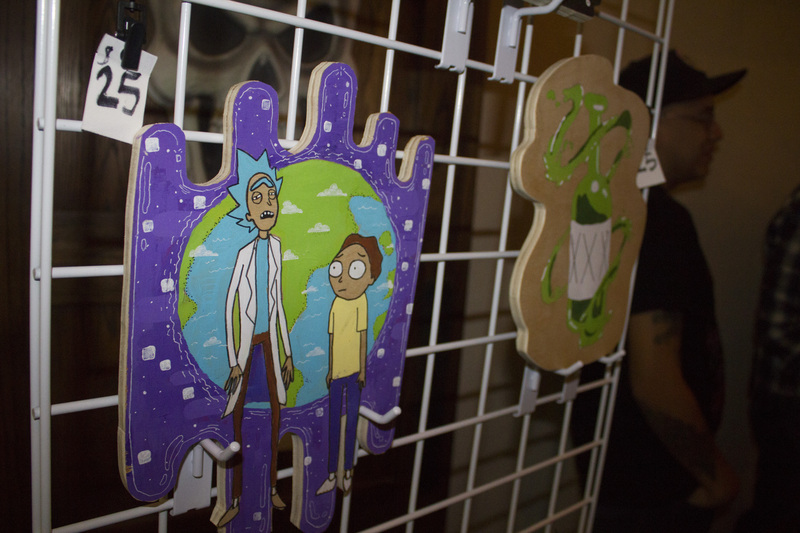 For those unaware of what I’m talking about, Rick & Morty is a popular animated series from Dan Harmon, the creator of Community, which you should also watch. 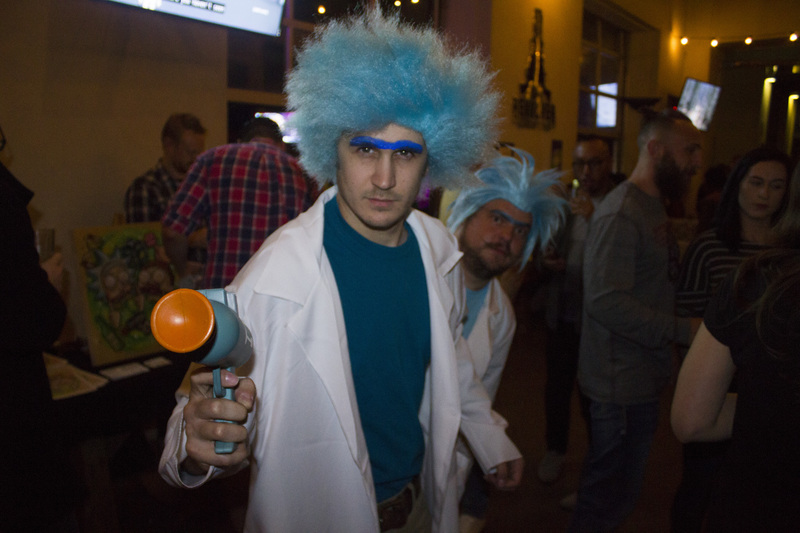 The series is sort of based on a parody of Back to the Future, except, in this version, Doc Brown is an alcoholic and who travels through dimensions instead of time, and the Marty character is actually Morty, Rick’s grandson/lab rat/human shield that he takes along with him on his adventures. 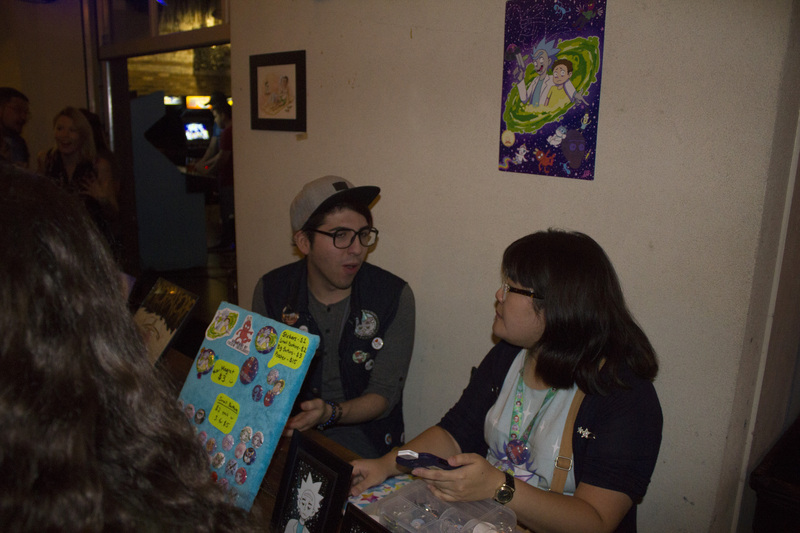 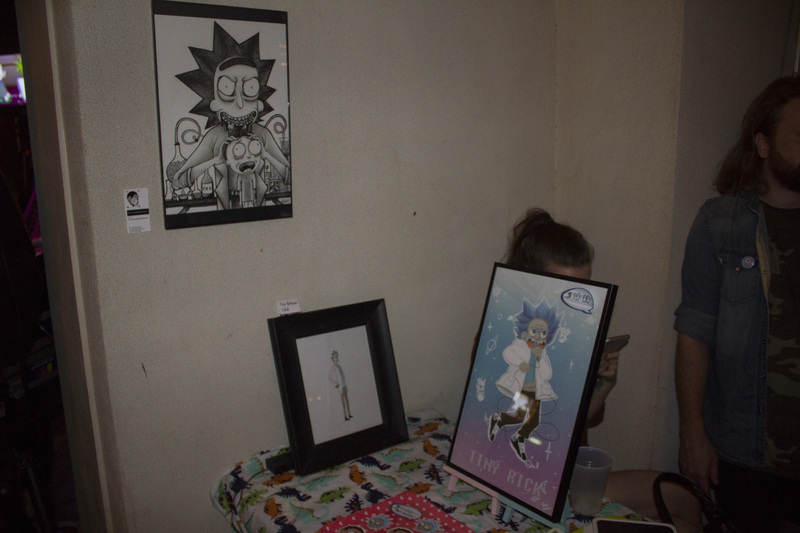 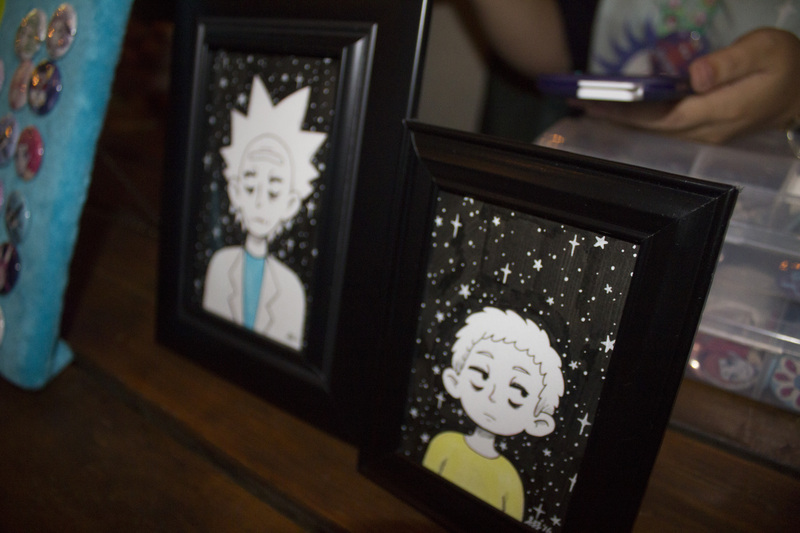 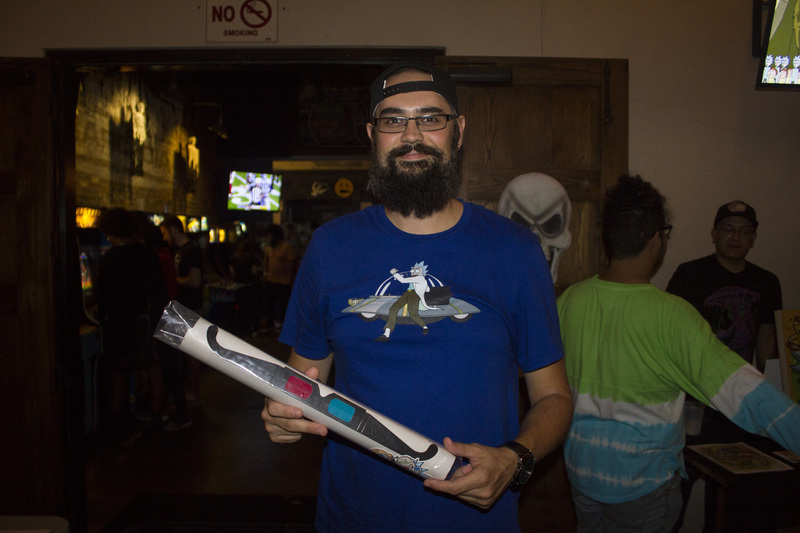 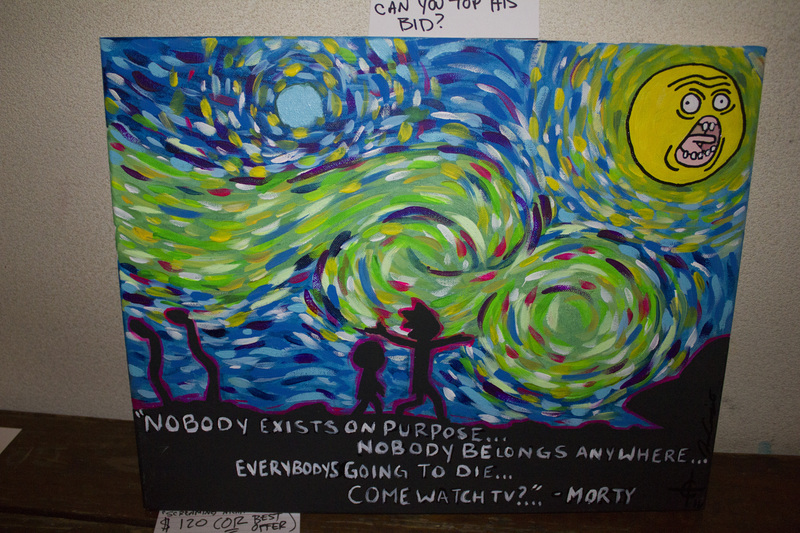 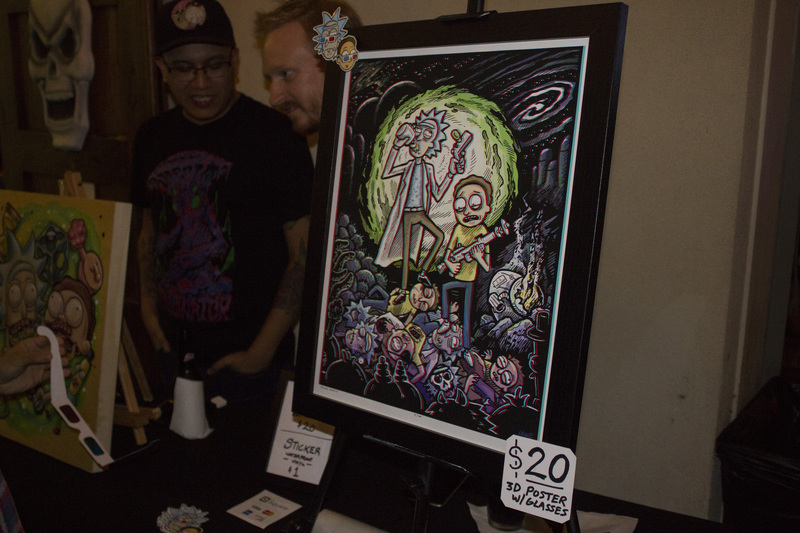 Sunday night’s event, dubbed “Night Of 1000 Ricks!….and Morty,” was centered around contributions of fan art submitted by area devotees of the show, with plenty of killer Rick & Morty-themed pieces placed around the venue to be gazed upon and purchased. 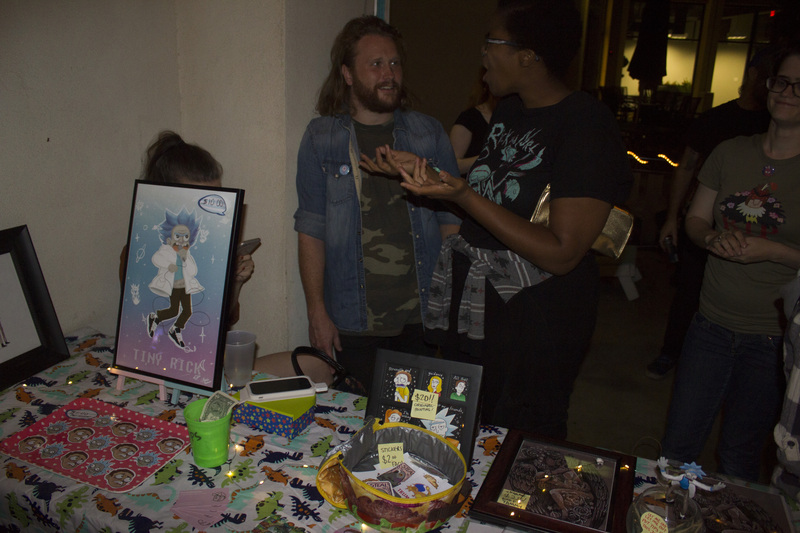 There were plenty of posters (both 2-D and 3-D), as well as paintings, buttons, sculptures and models from almost 20 different local artists. 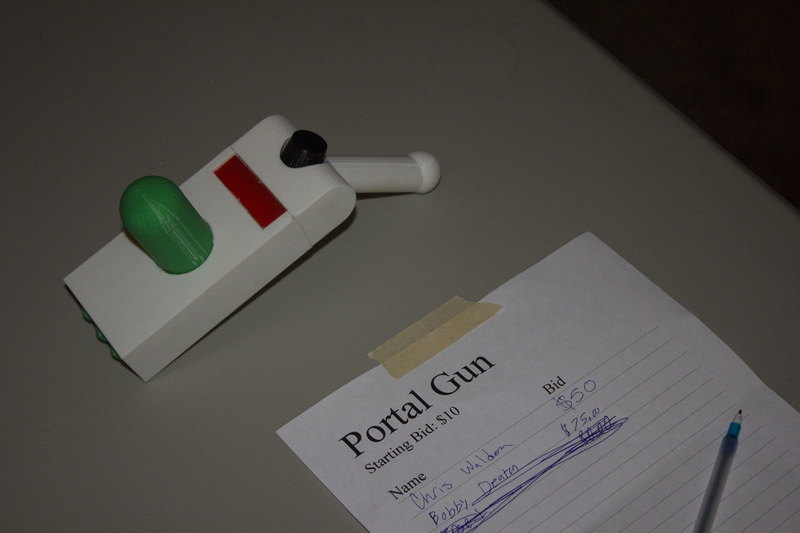 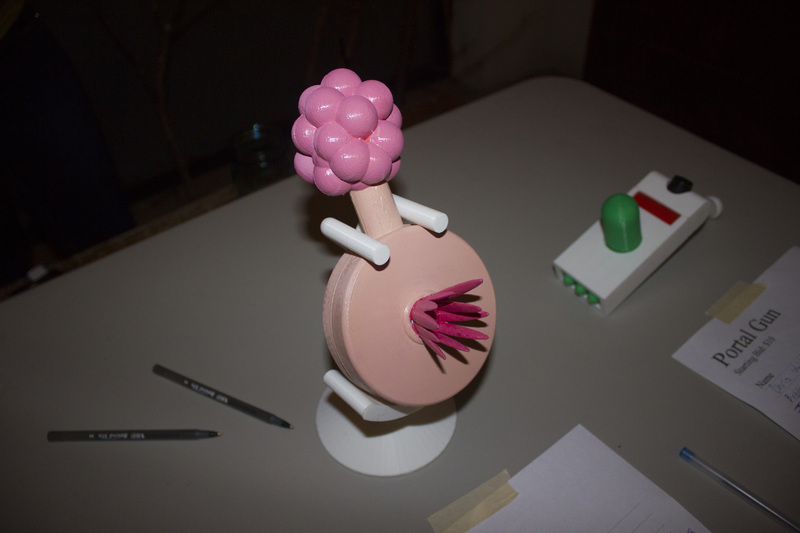 The party had some cool things up for raffle too, including a model plombus and Rick’s portal gun. 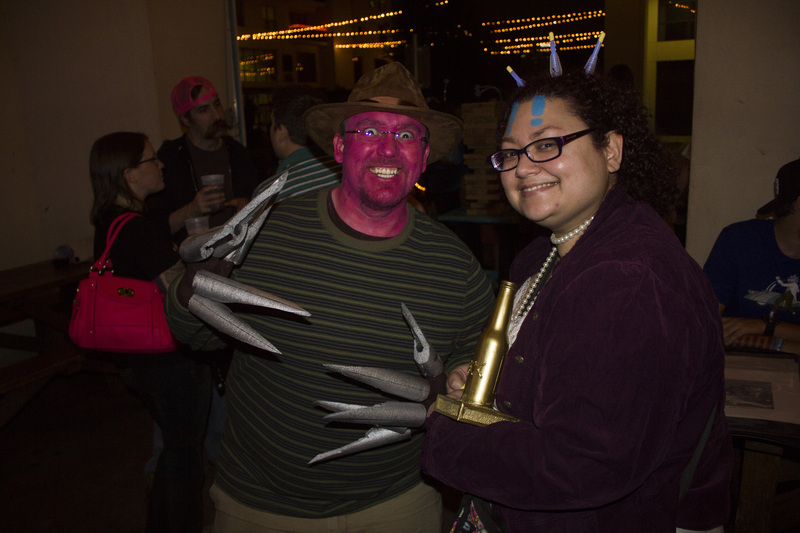 Honestly, there weren’t quite as many people dressed up in costume as we’d hoped to see, but the people that did dress up were pretty damn good. 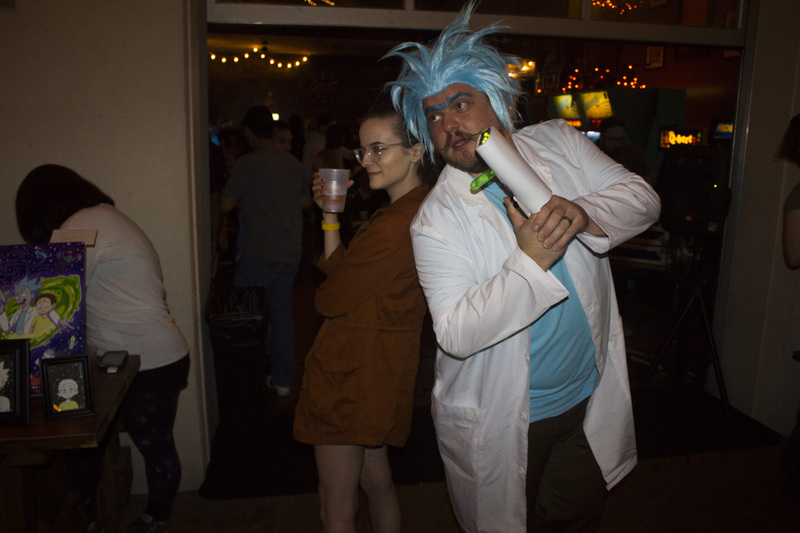 There were plenty of Ricks to go around — including one guy dressed as Rick Grimes from The Walking Dead — and a few people costumed as some of the show’s smaller characters, including the winners of the costume contest, a couple dressed as Scary Terry and Unity. 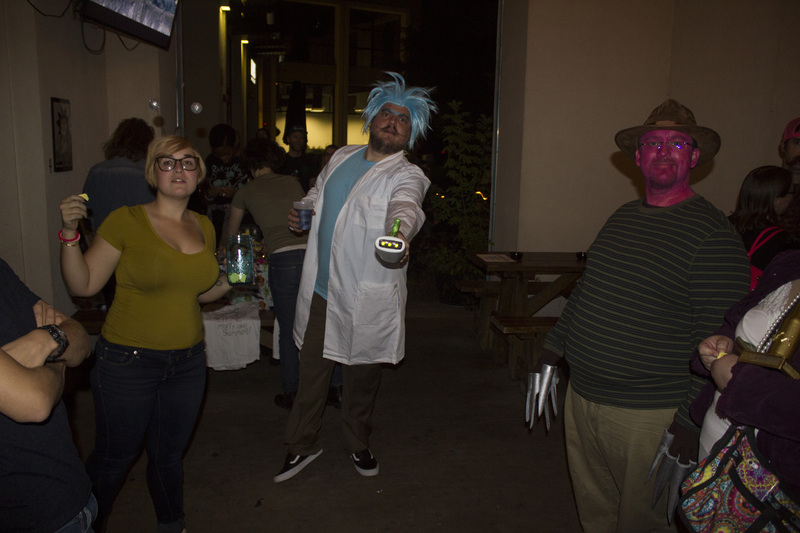 Set to ’80s music and various songs from Ricky and Morty like “Goodbye, Moonmen,” it was a fun night of drinking and hanging out with people who are all really into the same television series.